In celebration of Black History Month, Laemmle Theatres and the Anniversary Classics Abroad Series present 60th anniversary screenings of BLACK ORPHEUS on February 20. This retelling of the Orpheus and Eurydice story in Greek mythology is set in twentieth-century Rio de Janeiro during Carnival. 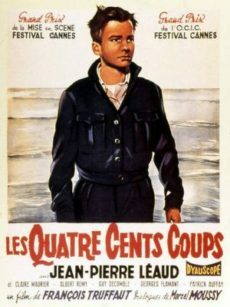 Writer-director Marcel Camus’ film hit the double jackpot for foreign-language films, winning both the Palme d’Or at Cannes and the Academy Award as the year’s best foreign film. 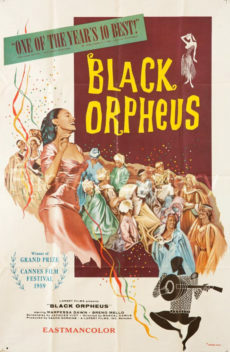 Based on the play “Orfeu da Conceicao” by Vinicius de Moraes with a screenplay by Camus and Jacques Viot, BLACK ORPHEUS takes place in the working class slums (favela) of Rio. Orfeu (Bruno Mello), a streetcar driver by day and musician at night, falls in love with Eurydice (Marpessa Dawn), new to the city, and courts her through the frantic festival. However, a skeleton-costumed character representing Death also pursues her, and the couple’s attempt to flee results in romantic tragedy. The two unknown leads—Mello, a Brazilian soccer player, and Dawn, an American dancer— help convey a sense of naturalism, but the film is most noteworthy for its irresistible score, composed by Luiz Bonfa and Antonio Carlos Jobim, which propels the drama with a captivating samba beat. The success of the film and recordings of its main themes helped ignite the bossa nova phenomenon of the 1960s. 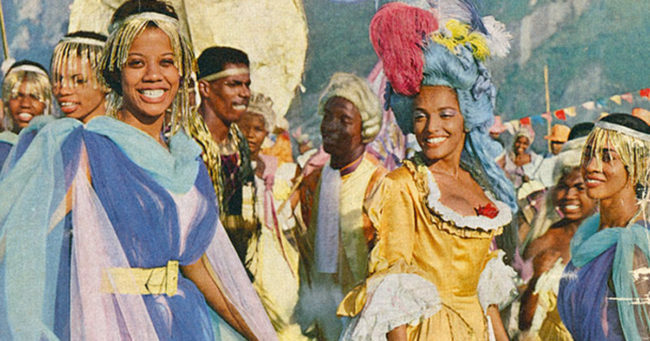 No need to take a trip to Rio—come to Carnival via BLACK ORPHEUS at Laemmle’s Playhouse, Royal, and Town Center on Wednesday, February 20 at 7:00 PM. Click here for tickets. 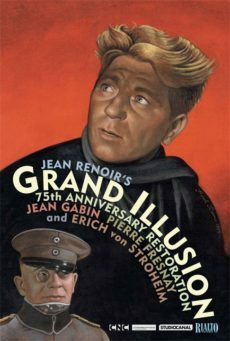 November 8, 2018 by Benjamin G.
Laemmle Theatres and the Anniversary Classics Series present the latest in our Anniversary Classics Abroad program, Jean Renoir’s anti-war masterpiece, GRAND ILLUSION. We present this program to commemorate the 100th anniversary of the end of World War I on November 11, 1918. Renoir’s film is generally regarded as the finest set during the First World War, and it endures as a memorable lament for the loss of an entire generation. Part of the originality and impact of ‘Grand Illusion’ comes from the fact that it has no battle scenes. 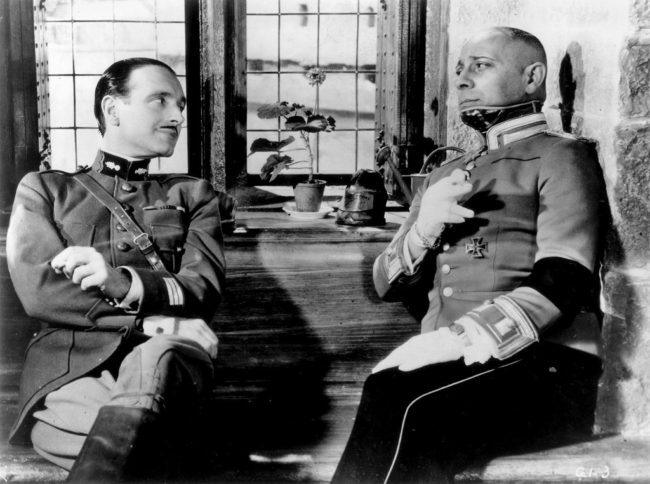 Much of it is set in a German prison camp where several French soldiers are under the command of an aristocratic German officer, played by silent film director Erich von Stroheim. 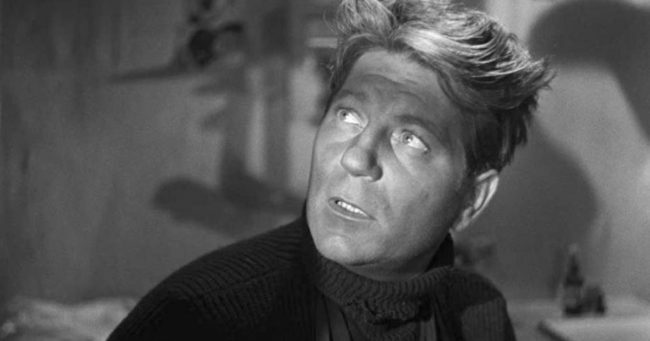 The prisoners are portrayed by rising French actors Jean Gabin, Pierre Fresnay, and Marcel Dalio. 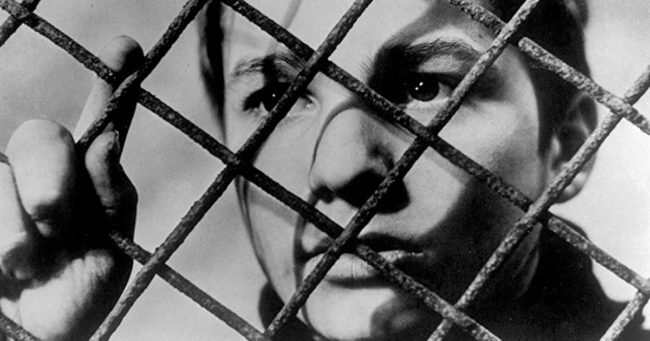 Their struggle to escape the camp provides the suspense in the film’s second half. Elsewhere, the film received nothing but acclaim. In 1937 it won a prize at the Venice Film Festival for Best Artistic Ensemble. When the film opened in the United States in 1938, it became the first foreign language film ever to be nominated by the Academy for Best Picture. (This would not happen again for 30 years, when ‘Z’ received a Best Picture nod in 1969.) 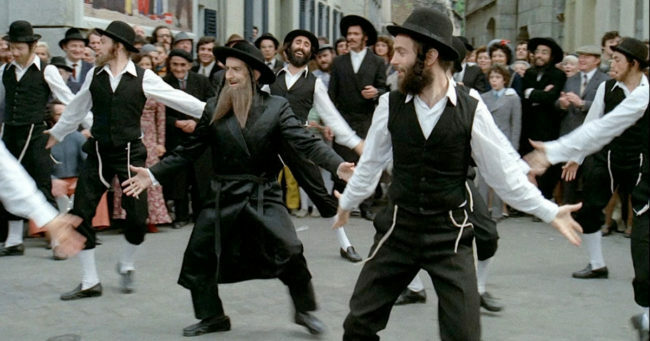 Over the years the film was acclaimed by critics and also by other filmmakers. Orson Welles named ‘Grand Illusion’ as one of two films he would take with him to a desert island. GRAND ILLUSION screens at 7pm on Wednesday, November 14th at the Playhouse 7 in Pasadena, Royal Theatre in West LA, and Town Center 5 in Encino. October 11, 2018 by Benjamin G.
Laemmle Theatres and the Anniversary Classics Series present the latest installment in our popular Anniversary Classics Abroad program, 60th anniversary screenings of the Oscar winner for Best Foreign Language Film of 1958, Jacques Tati’s MON ONCLE. 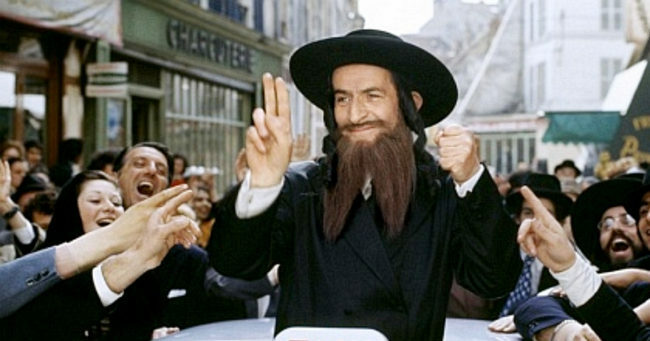 Tati made only six feature films over the course of his career (including Jour de Fete, Playtime, and Traffic), and this comedy—his first film in color—is considered one of the highlights. Tati had introduced the character of Mr. Hulot in Mr. Hulot’s Holiday, his highly praised film from 1953. He once again plays the character of Hulot in this more ambitious satire of modern technology and its dehumanizing effect on family life. Jean-Pierre Zola and Adrienne Servantie play a married couple in thrall to a sterile, workaday world. 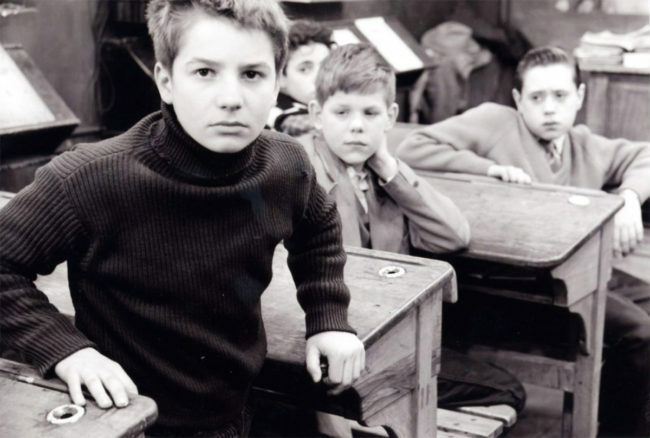 Alain Becourt plays their young son who finds liberation with his playful uncle. 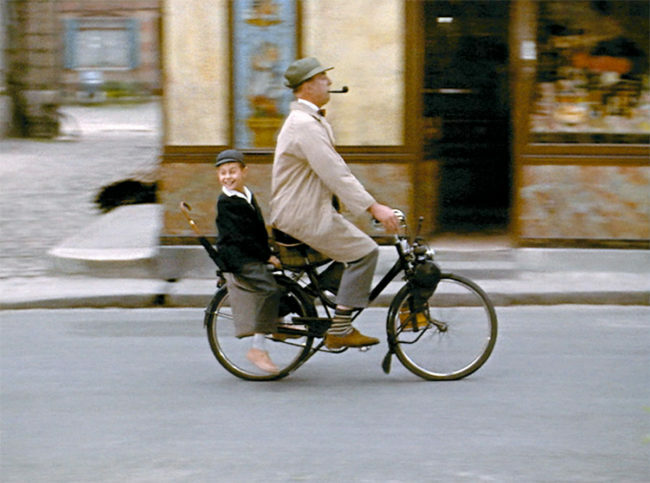 As in many of Tati’s films, Mon Oncle pays homage to the masters of silent comedy. 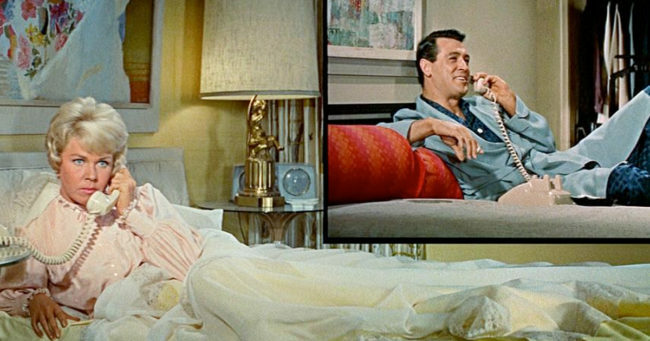 There is very little dialogue in the film; instead the humor is visual, where the slightly futuristic settings are as important as the human characters. The ingenious sets were designed by Jacques Lagrange at the Victorine Studios outside Nice. 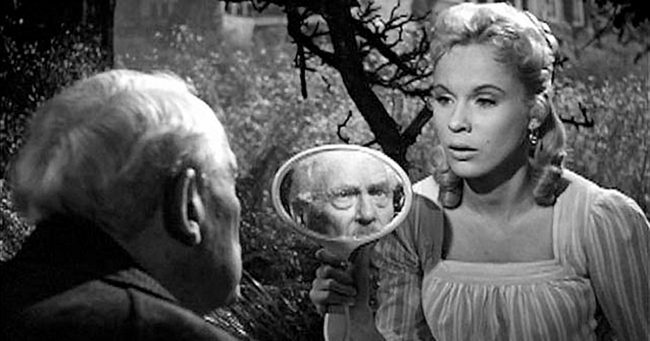 The film has also had an enduring impact on many other directors. At the AFI Festival in 2010, David Lynch presented a screening of Mon Oncle and announced that it was one of the films that had the greatest influence on him. 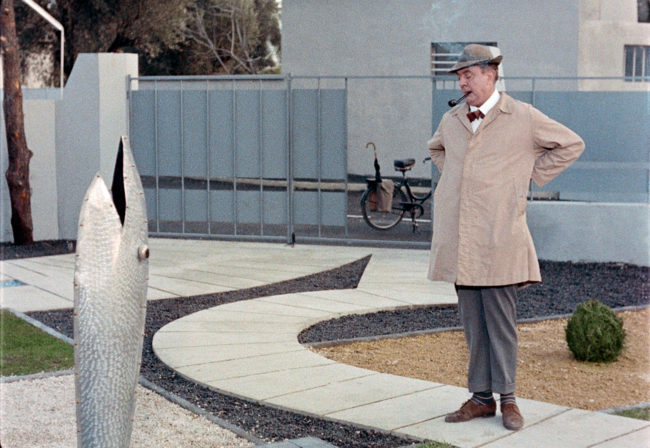 MON ONCLE screens Wednesday, October 17, at 7pm at the Royal, Town Center, and Playhouse. Click here for tickets. August 13, 2018 by Benjamin G.
Laemmle Theatres and the Anniversary Classics Series present the latest offering in our Anniversary Classics Abroad program, Kon Ichikawa’s poignant family drama, THE MAKIOKA SISTERS. One of the great Japanese masters, Ichikawa is perhaps less widely celebrated than his countrymen Kurosawa, Mizoguchi, and Ozu. 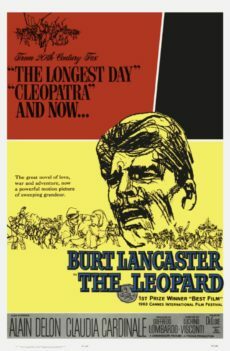 He began directing features in the 1940s, and his films The Burmese Harp, Fires on the Plain, Tokyo Olympiad, and others found passionate critical defenders. 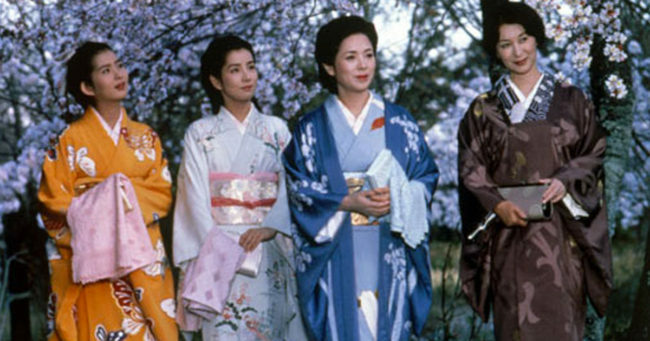 One of his later films, THE MAKIOKA SISTERS, is adapted from a popular Japanese novel by Junichiro Tanizaki and follows the fortunes of four sisters from a wealthy family in Osaka. Set in the 1930s on the eve of World War II, the film stars Keiko Kishi, Yoshiko Sakuma, Sayuri Yoshinaga, and Yuko Kotegawa as the orphaned sisters, heirs in a wealthy manufacturing family. Their marriages and romantic relationships are a source of tension and jealousy. THE MAKIOKA SISTERS (1983) screens on Wednesday, August 22, at 7pm in Encino, Pasadena, and West LA. Click here for tickets.